43 Piece Universal Gun Cleaning Kit | BUDK.com - Knives & Swords At The Lowest Prices! This Universal Gun Cleaning kit is perfect for any hunter or shooting enthusiast. 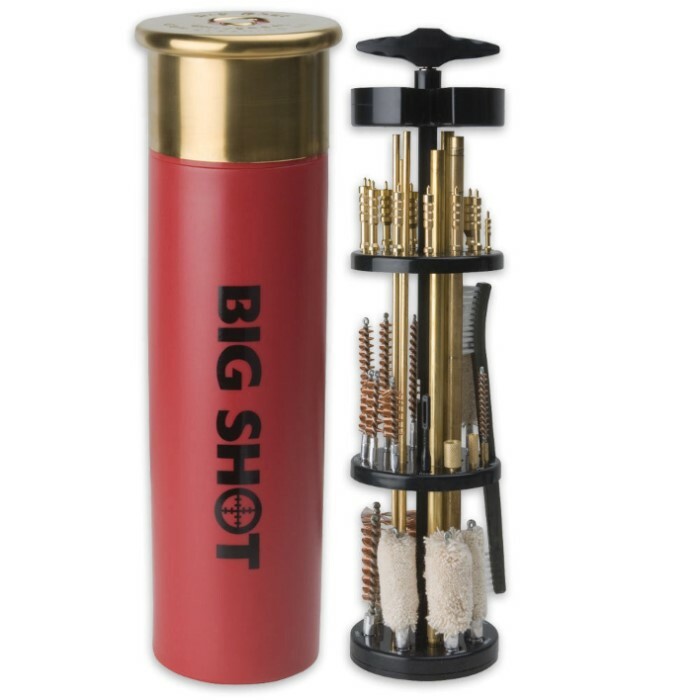 It cleans all major rifles, pistols and shotguns from 17 calibers to 12-gauge shotgun.